a first for me doing business online (internet).........which makes me a complete newbie ! Originally from Southern Africa, traveling the world ( lived in 8 different countries) as a travelling spouse , my wife being in Foreign Affairs. So i do have alot of free time to spend on WA - im passionate about sales/ marketing and flying light aircraft ! Im very exited about the WA online business undertaking .....here's hoping and wishing you all the very best of WA success into the future!. take care and God Bless, Johan. Now, THAT sounds like you are truly living the life of Riley! What a great thing; to be able to travel the world while building your WA business. I can't imagine anything more fun. It's very nice to meet you an' I hope that, by now, you have managed to get your wife inspired to do sump'n on WA, as well. Hi Kisha, wishing you tonnes of success with you online business. Your success is completely dependent up on you now. WA and the community will give you the tools you need to succeed. Visit my profile for more pointers. I will you great success!!! 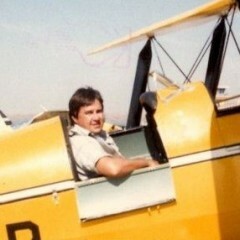 Until age 75 I owned and flew an open cockpit Sky Bolt. I love aerobatic flying, fast cars and motorcycles. Hi Ray, many thanks, yes I have flown a Steen Sky Bolt and was also involved building one from scratch.........what a machine, its performance is second to none! Wishing you all of the very best with your online business. Hey Johan. Thanks for adding me. I read your latest post and see that you're starting over again. There's absolutely nothing wrong with that! Keep trying and NEVER give up! Remember that quitters never win and winners never quit! I hope that this time around, you will see the success that you're looking for. Hi Reyhana, yes the word quit does not fit into my vocabulary so there's no danger of me taking that route.....ever! My commitments were very demanding in the last few years and I always knew that someday I would like to have my own online business......enter WA and from here onward we go forward and achieve.! Stay in contact and together in the not so distant future we will reach great heights with the help of WA and this magic community. Yes indeed, and we shall achieve great heights .........I like your attitude and see you on the other side of that bridge for sure. Thanks for following and I will follow you. You will do well here with your background. Follow the courses and watch your site grow. I am more challenged I was however once a newbie too but I have a website (see it below on my profile there's a link at the bottom right its about eating healthy) now that I am liking more and more the more I work on it. The best to you here. Hi, many thanks for your kind words and wishing you loads of success with your online business. Ah I see you've been here since 2013 so thanks for following me and for the encouragement. This is a very supportive community. Many thanks and yes I have been here but due to a heavy workload and commitments could not get started. That has thankfully now changed for the better and so my journey at WA begins. Take care and stay in touch...............Johan. I'm just plodding along too but making progress, so will you..
Hi Jonathan, wishing only the best with your online business career.....yes indeed the opportunities with WA are absolutely awesome. Hello, Johan, and thanks for your follow. We follow you right back. You have been leading a very interesting life. Travel is something near and dear to our hearts. We are new to affiliate marketing as well and loving the training and community support here. We know you will be flying high soon! Hi Colette and Philip, many thanks and here's wishing you both tonnes of success with all your online ventures. Yes indeed I have done a fair amount of travelling around the world and it has taught me a lot about people, cultures and foreign countries.........I would love to do it all over again. Enjoy WA and its magic community.......you have just discovered a jewel.......enjoy and prosper. Hi there Johan. Thanks so much for the follow. I've followed you right back. Looks like we both joined Wealthy Affiliate about the same time of the year, except that it was 5 years apart. I hope you are finding the success that you were looking for. Hi Wendi, many thanks and wishing you one huge and great success with all your online ventures. Good day and thanks for the follow, Johan. I'm following back. I hope your four years here have been rewarding and you have seen some of your dreams and goals come true. Many thanks Wayne, wishing you tonnes of success with all your online ventures and yes let's stay in touch. Many thanks, Boaz wishing you the same. Thank you for your introduction interesting, I live in Cyprus, I have met guys from South Africa. A family here, and also on a trip to Italy as this is where my Fathers family are from, and spent some time with them. Don't fall out of your aeroplane. Hi, Christine nice to meet you here in WA,.........not to worry as I'm well strapped in and part and parcel of the aircraft. You live in a very beautiful part of the world and here's wishing you tonnes of success with all your online ventures. Hi, Carol and many thanks for the welcoming looking forward to hearing from you all. Wishing you tonnes of success with all your online ventures. I love that you are a light aircraft enthusiast! I am as well. Thank you for adding me to your network. I have added you to mine as well. I look forward to working with you. I see you have started the core lessons. just remember that the lessons all build nicely, one upon the other. So, do them in the order that they come, completing each task that is given before moving on and you'll be flying high before you know it! If you ever have any questions, please ask. You can rely on the community to help you out. They truly are the best! Many thanks for the follow and yes light aircraft has always been part of my life and the one thing I feel very passionate about. I must be honest and say up to now I have done very little with WA and as I had too many distractions ..........but knowing full well that it is the best training platform it's more than high time to get stuck in and complete my training and yes as you say .........the secret is to follow exactly the training instructions and to engage with this awesome WA community. Many thanks for your offer of assisting me in my training it means a lot and will be calling on you for sure. Take care and have a magic 2018. You are very welcome, Johan. I understand distractions. I've had many over the holidays. I enjoyed each and every one of them though. Please do call upon me when you have questions. I will help where I can and if there is something I haven't come across yet, I promise to help you find the answers, as it is a learning opportunity for me as well. Thanks, Anita, very much appreciated and will keep in touch with you. Real nice to meet you here at WA. I thank you for your follow and am following you back. I hope that you still enjoy flying. I have not flown since I left the Air Force. I have been too busy in my business career. I wish you the very best in all of your projects. Hi Jules, nice to meet you here in WA and yes once flying is in your blood it stays there for life - I am to give all my attention to my online business from now on and maybe make it possible to purchase a little two-seater later on. What did you fly in the Air Force? I flew the F4, F101, and F5. Great planes to fly but unfortunately have not flown anything since I got out. Thanks for the follow, I have returned the favour. I see you have been here at WA since Aug 2013, are things going well for you. I have read a couple of your posts and will read more. I wish you well on your continued journey. Hi there, and many thanks for the follow, wishing you tonnes of success with your online ventures. To answer your question truthfully is that due to a very demanding life style I have not done much. However, people that started around that time with me have done extremely well. I have managed to remove many many of commitments(And regained my health) and will only go ahead now as it has been my dream to become a successful online marketer.......never quit! That's the spirit Johan, never,never give up, you'll get there. Hello Speedking and a big welcome to the WA Community. Thanks for the follow! Now that you've set your business goals, continue with the WA training modules which I believe is the best on the planet. Stay determined-no matter what, stay focused, stay committed. This will ensure you will have great success! I'm into my second week and I have already ranked #1 and page 1 on google for my first site! I know you will have continued success in not only meeting but exceeding your business goals! Hi there and many thanks for your inspiring posting. Wishing you tonnes of success with all your online ventures. Hi Karen, many thanks for following me back and yes I shall have a look at your blog updates and give some feed back. I'm only really getting started now after all this time due to a hectic lifestyle - my approach to it has been to get get rid of time-wasting commitments in order to make way for WA online training. Wishing you tonnes of success with all your online ventures. It is good to meet you. Thank you for networking with me. I am happy to follow you, too. You have been here 4 years now, so I guess you must love it. I hope you are achieving all you have set yourself to do here! Hi Linda, thanks very much, yes I have been here 4 yrs but surprise, surprise, in all honesty, I have not done much due to commitments and some health issues (Health now sorted though) - But time wasting commitments are been sorted out and stopped as well! My dream is to become an online entrepreneur, hence the reason for staying in touch with WA and its community.......I never quit! Wishing you all the very best with all your online ventures. Thank you for the follow. I am following you back. I am new to WA. Spending the majority of my time right now training and becoming familiar with everything. Lots to learn and do. You appear to have been at this for awhile. Hope everything is going well for you and your family. My son loves flying. This coming week he will be going up in a WWII fighter. He's very excited. Hi Mark, welcome here t WA it's a great place to be and community is absolutely fantastic......make the most of it and you will come out tops! Your son is very lucky indeed I have only been in one warbird many years ago, what an experience it was! Stay in touch and take good care. My brother, Don, was an aviation pilot. He and his friend were flying from Nepal over the border to Morocco, each with 7 crew members, with approved flight plans, when suddenly ground to air rebel missiles hit their 4 engine planes and took them out. He used to own an Avenger, for crop seeding and dusting, along with Ag Cats, for crop spraying. He left his wife very wealthy. You and I want to leave our spouses very wealthy, but through safer means, like our own online profit-making businesses. especially, 'Mind Set', Secret Formula', and 'From a Dream to a Reality.' These are basic to your success. They ease the pressure of overwhelm and simplify your process of gaining focus. Also, no matter what anybody says,It's your Personality that will make you long-term customers and you wealthy. Many thanks for the follow and wishing you tonnes of success with all your online ventures. So sorry to hear about your brother, I too have lost a few dear friends in air crashes.............may they all RIP. Thank you for your response, your condolences, and your contributions to the WA Community. You are certainly having an impact. May you continue to 'fly' in your online business, and safely in your real flying, SpeedKing. Welcome Johan. We all especially wanna get to know you - so hopefully one day we can cadge a ride on one of your planes! Great fun to look forward to. We all also wish you good fortune in this your new adventure. P.S. Looks today you gonna smash us Brits in 2nd Test Match! About time too! Hi there Richard, thank you and wishing you all of the best in all your online ventures. Yes the rugby for SA looks good at the moment.......may the best team win. Flying will always be a pleasure and you are most welcome. Was actually talking about the cricket! Congrats your overwhelming victory in 2nd Test. One apiece now and all to play for! 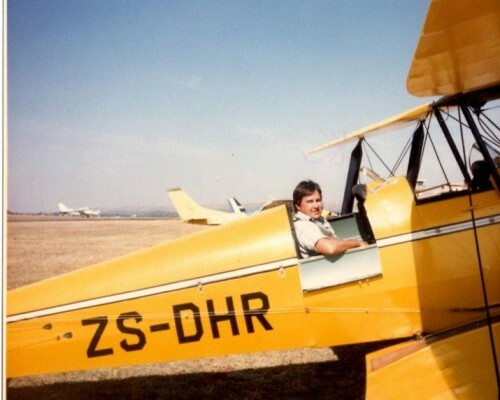 Too many years ago that I care to remember I had a boss who flew his own small plane. He took me up once ... incredibly exhilarating! Oh dear sorry about the Rugby, we reside in Amman, Jordan at the moment and I'm somewhat out of touch with the sporting world........thanks for the info! Thank you for following me and I'm going to follow you, too. Your profile has a lot of awesome ideas of niches. I bet a lot of people would read about flying light aircraft as well as all the places you've seen while living in 8 countries. I hope your business is going well. Wishing you the best! Many thanks for the follow, wishing you tonnes of success with all your online ventures. Yes, I do have some interesting stories to tell about all my travels and experiences in Light aircraft - will share them sometime soon! Hi Johan, I'm so jealous. you have lived in so many country's that I could only dream about but you have to fly to get there and I'm very very scared of heights. I'm happy your enjoying your time here at WA, the training and the community are awesome. Hi Lori, yes I have been around the world and back and given the chance I shall do it all over again. No need to be scared of flying just get in and enjoy the journey. Many thanks for the follow and here's wishing you tonnes of success with all your online ventures. If you want to build and grow your network fast start here by following me on my social sites and I will follow you back lets grow our economy! Want to thank you for following me. I should have come by earlier to say hello, but there has been so many new thing to adjust to. But here I finally am. Of course I will follow you too. Your profile photo is great! I wish you a wonderful flight up in the air as well as here at WA! Thank you, Pernilla and all the very best wishes for you too. Honored to follow and humbled to be followed herein @ WA. Isn't traveling one of the nicest things one can do in life?I for sure think so. I started at the age of 15 when going to school in different countries. All the people one meets with some of them remaining friends for life. Thank you for the follow, have a good week. Many thanks and wishing you tonnes of success with all your online ventures. Thanks for the follow Johan, will follow you as well. That's cool that you can fly. So, You've been doing this for 3 or 4 years? do you have a website, would you mind if I checked it out? I like to get ideas from various websites. I'm currently working on the affiliate boot camp....so would be promoting WA. Hi, Randy, yes I have been here for that long but due to an unbelievable busy schedule, I have not done much I'm afraid to say! However, that thankfully has now finally changed and it now is high time for me to realise my own dream and build my very own website. You are most welcome to keep a watchful eye on my progress and to steer me in the right direction. I promised myself to never quit WA hence the present position. My Bootcamp training will now commence at a much faster pace. Thanks for the follow and do take care. Thanks for the follow glad you have chosen the right platform for your retirement journey. It will journey that you always can be proud of when as we have a good people around to share constructive comment to improve our way of doing business on the internet space. Thanks for the follow,pleased to make your acquaintance.I wish the same to you.I Pray that you find the success you seek.Wealthy Affiliate is the right place for you to learn the correct and proper way to create an online business and learn All you need to learn about Affiliate Marketing KeyWords,Creating and Posting Your YouTube Videos. The training teaches you Everything you need to know to pursuit your Financial Dreams.May The LORD Our Savior Shower His Abundant Blessing UpOn You! Many thanks for the above comment it is highly appreciated, take care, Johan. Julle is baie welkom, weet nie waar jy jou nou bevind op die Aarde nie, maar glo my Nam is die heel beste plek op die Aarde, van al die ander lande wat ek al besoek het - kies ek Nam n 100 keer oor en oor. Hier aan die kus het ons die heerlikste weer, nooit te warm of vriesend koud nie, het die afgelope 2 winters nie eens n verwarmer gebruik nie - dis lekkkkeeeeerrrrr! En ek is n baie koulike mens - dun bloed. Kom maak n draai in hierdie pragtige land, aangesien jy vir Kersfees in SA gaan wees, onthou ons het ook die groot 5! En kamele, vir n lekker trip die woestyn in. En sommer baie ander lekker toere en goete om te doen. Hi Mason, many thanks for the follow and yes I would love to interact with you. So let's stay in touch. In the meantime, I am starting to build my Bootcamp site so I will need all the help I can get.I shall PM you shortly. Take care, Johan. Ja, en jy sal op die naat van jou rug val, wanneer jy walvis sien, ons kry mos nou of is al amper klaar n massiewe hawe wat baie lande in afrika gaan dra, dan ook nog 3 shopping malls - n industriele area wat amper tot by duin 7 strek, walvis en swakop loop amper aanmekaar, huise tussen walvis en swakop, dolfyn strand, afhordite, en langstrand. Julle moet kom kyk, swakop het ook verskeie nuwe dinge bygekry - bring net n ekstra suurstof bottel saam vir die skok....:) O ja, ons het ook n pragtige groot internationale lughawe met n opreggeteelde baksteen gebou vir aankoms en vertreksale. Ons is baie spoggerig. Wow!! !........Dit klink fantasties, ek sal graag soontoe wil trek en vir ewig en altyd daar gaan bly. Thanks for the follow request. Nice to meet you. I'm also South African and have also lived in a few countries. I live in Sydney at the moment. Great profile pic by the way. I hope business is going well for you. Wishing you all the best for the holiday season and with your goals for 2017. Good morning to you Johan, my name is Ken and I welcome you to WA and thank you for the follow. Being retired gives you the time to learn the ins and outs of Internet marketing and perfect your technique. To become successful will take a lot of work on your part. Not hard work, just time in writing content (articles) explaining what it is you are promoting. I suggest you first learn from the Get Started Here [top left green box]. This will teach you the basics, select a niche, build a niche website, and learn how to do keyword research. Everything else is built around these three principles. I look forward to working with you and I wish you much enjoyment and success in reaching your goals. Hi Ken, pleased to meet you here at WA. Yes, I have decided to go straight ahead with the Bootcamp training as it makes a lot of sense to me. Once I have mastered Bootcamp I shall go on to my next niche . So let's stay in touch and thank you for showing interest. Take care, Johan. Aviation is where I spent most of my working career. currently, I am partially retired an dedicating more time to my family. WA is a great place and although, at times, I find myself in a deadlock I know it is ok because this is a brand new field for me.. Nevertheless, I am having fun and learning a lot. Hi Lisa yes, once the flying bug bites it's there forever. WA, however, is a brand new but exciting world......who knows maybe we can start a top online aviation venture.......the possibilities are endless. Take care, Johan. Done........and the best of luck with your online venture at youtube. Take care, Johan. Been away but never left! Baby Boomers adapt or die.